Inneholder ett stort bakgrunnsstempel og 14 tekster og måler ca 15 x 20 cm (6" x 8"). Produsert i USA. 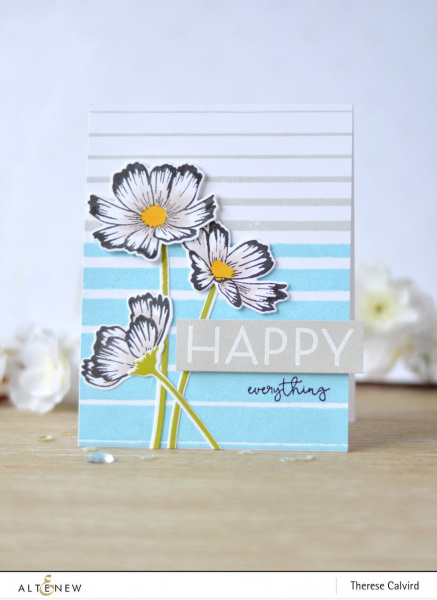 This stamp set includes a 5 1/2" x 5 3/4" background stamp and 14 sentiment stamps. 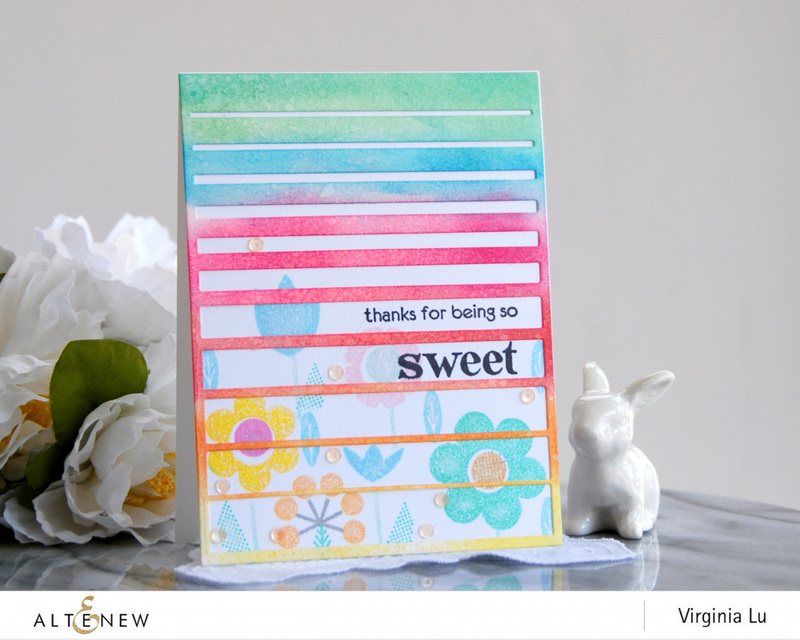 The large stamp features gradient stripes that will create a fun ombré look on your cards. The background is large enough to cover a whole A2 card front or it can be used on larger projects such as scrapbook layouts. The words in the set can be combined to create your own custom sentiments. 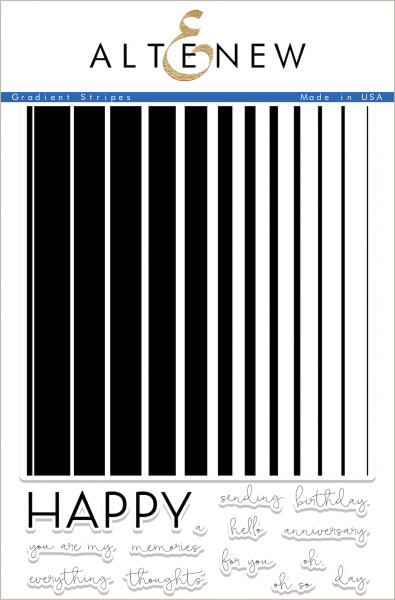 This is a 6" x 8" clear stamp set containing 15 individual stamps made from high-quality photopolymer.